Dear customer, since May 25, 2018 has entered into force the new data protection legislation (General Regulation of Data Protection RGPD), we are aware that reading these texts is an arduous and tedious task, but it is necessary that read the entire document interrogatively, contact us with any questions and we will help you. In this document we expose everything related to Buofulldome's Legal Notice (Data Protection Policies, Use Policies, Sales Policies and Cookies Policies). Summary RPGD: When registering or making a query, you accept and give your consent to the person responsible for the management of your data, Buofulldome and to fulfill the purpose of providing our services, use the data you have provided to respond to your consultations, make queries in case of doubt, send your orders through the transport agencies, send you information on the status of your order and process our invoices. On the other hand, we inform you that we do not send (by any means) advertising of products, or offers, or promotions (unless you request it to us) and we do not authorize any of the collaborating companies (Transportation agencies, Tax advice, Catwalk Payment, etc.) to advertise or perform any other action with your data beyond what is indicated to provide the service of purchase, processing and delivery of your orders. The data requested through this web platform are necessary for the provision of the service you request, these are adequate, relevant and not excessive. Our intentions are healthy and not harmful, our goal is to perform a good service for you, we do not need to have information about you except the necessary to process and send the order you have requested, then any error should be considered as an involuntary incident that we will be willing to correct at all times without any prejudice to any of the parties. You have recognized the rights of access, rectification, cancellation and opposition, which you can exercise for free. The fastest and easiest way to exercise these rights is to access your user account and directly modify your data or request the LOW by writing to us by whatsapp or email. Any information that we need to store, by virtue of a legal or contractual obligation, will be blocked and only used for those purposes instead of being deleted. Main purpose What we do with your data? The creation of a personal account is intended to generate a unique customer identifier for the acquisition of products or services offered on our website. Buofullfome will process your data for the management of orders or services requested by you. Buofullfome.com will treat your data for the management of distance selling, shipping management and returns; as well as to channel the requests of information, suggestions and claims of clients for their management and resolution. Your data will be kept as long as there is a mutual interest in keeping the record unique, or while you do not exercise your right to suppress or limit treatment. The purpose is to provide our services, we use your data to answer your questions, make inquiries in case of doubt, send your orders through transport agencies or via telematics, send you information on the status of your order and process our bills. To provide full sevice, we need to communicate or give the information you have provided to third parties, specifically, logistics companies, transportation and delivery (data to make the shipment of your order to your home and make claims for breakage or lost); the delivery of the invoices the Legal Advice for the accounting and software of management of products and clients; processing of the fiscal year with the Treasury (invoices); to the web hosting company (web hosting buofullfome.com where our databases are concentrated); to the payment service companies with which you make the payment (PayPal). All these companies store and process information within the European Economic Area (EEA), so they are subject to data protection regulations in the field of application of Spanish law and the European Union (RPGD), that is, without your express consent these can not do anything with your data beyond the indicated purposes of providing the service of sale and shipment and processing of the fiscal year. Likewise, your personal information will be available to public Administrations, Judges and Courts, for the attention of possible responsibilities arising from the processing of your personal data. In this sense, Buofullfome.com does not perform any other action with your data except as indicated in the main purpose. We do not advertise. The legitimacy for the processing of your data for the creation of a personal account is the execution of the digital account registration contract (when you register on our website), by which you accept the terms and conditions that appear on the web and thus be able to use the services offered. Access, rectification, deletion and opposition to treatment, as well as other rights. Interested persons have the right to obtain access to their personal data, as well as to request the rectification of inaccurate data or, where appropriate, request its deletion when, among other reasons, the data is no longer necessary for the purposes that were collected. In certain circumstances, the interested parties may request the limitation of the processing of their data, in which case we will only keep them for the exercise or defense of claims. Likewise, and for reasons related to their particular situation, the interested parties may object to the processing of their data in which case their personal information will no longer be processed, for those purposes for which they have indicated their opposition. When technically possible, the interested party may request the portability of their data to another data controller. To exercise these rights, in accordance with current legislation, interested parties can send by mail, attaching a copy of a document proving their identity (ID or passport) and request, to Alejandro Durán Mediavilla at the address: C / Margarita nº12 41940 (Tomares) SEVILLA. For more convenience you can also communicate by phone. of whatsapp available on the web, or by email. The interested party can submit a claim to the Spanish Data Protection Agency, especially when they are not satisfied with the exercise of their rights, for more details consult the web www.agpd.es. At Buofullfome.com we act at all times in good faith, with the will to help at all times to resolve any doubts of the customer and to provide the best service, please contact us with any questions or problems to solve mutually. The information exchanged by mail or through this web platform is completely confidential, no access to third parties and is based on a relationship of trust between Duran Alejandro Mediavilla and you, as data protection law. Our intentions are healthy and nothing perjuiciosas, then any errors should be regarded as an inadvertent incident that we are willing to address at all times. Cookie is a file that is downloaded to your computer to access certain web pages. Cookies allow a website, among other things, store and retrieve information about browsing habits of a user or your computer, depending on the information they contain and the way you use your computer, can be used to recognize to the user. The user's browser stores cookies on the hard disk only during the current session occupying a minimal memory space and not harming the computer. The cookies do not contain any specific personal information, and most of them are deleted from the hard drive at the end of the browser session (so-called session cookies). Without your express consent -through the activate cookies in your browser-not link in cookies stored data with personal data provided at the time of registration or purchase. 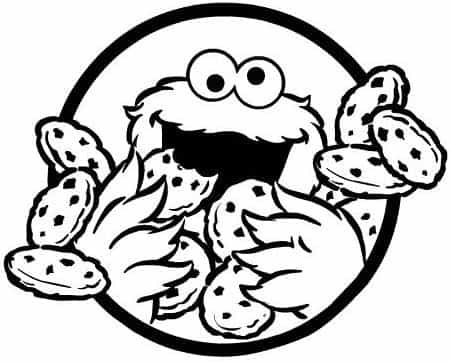 Third Party Cookies: This site may use third party services that compile information for statistical purposes, to use the Site by the user and for providing other services relating to website activity and other Internet services.